Sanctity in the mild irregularities of thought. 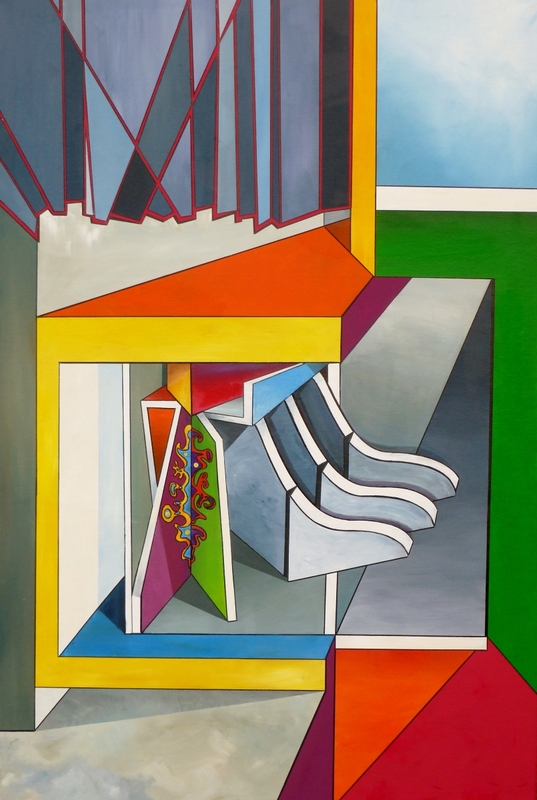 Abstract geometric shapes engage with colour and organic forms in a twisted landscape of changing perspective. 7.5" x 5"12" x 8"16.5" x 11"20.75" x 14"25.25" x 17"28.25" x 19"